Does the second season of the Salvation TV show on CBS make you want to save it or ditch it? As we all know, the Nielsen ratings typically play a big role in determining whether a TV show like Salvation is cancelled or renewed for season three. Unfortunately, most of us do not live in Nielsen households. Because many viewers feel frustration when their viewing habits and opinions aren’t considered, we’d like to offer you the chance to rate all of the Salvation season two episodes. **Status update below. A CBS suspense drama, Salvation stars Santiago Cabrera, Jennifer Finnigan, Charlie Rowe, Jacqueline Byers, Melia Kreiling, Ashley Thomas, and Ian Anthony Dale. The thriller follows MIT graduate student Liam Cole (Rowe) and tech genius Darius Tanz (Cabrera), who discover that in six months, a huge asteroid will crash into the Earth. In season two, the truth is out. Now that it is no longer a secret, the impending threat will elicit both the best and worst from humanity..
What do you think? Which season two episodes of the Salvation TV series do you rate as wonderful, terrible, or somewhere between? Should CBS have cancelled or renewed Salvation for a third season? Don’t forget to vote, and share your thoughts about the Salvation cancellation (and your favorite episodes), below. 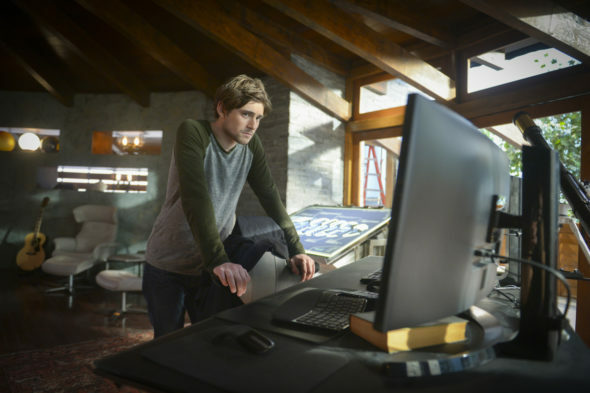 **Status update 11/20/2018: Salvation has been cancelled by CBS. Details here. More about: Salvation (2017), Salvation (2017): canceled or renewed? I totally enjoyed the series, I was sad to see there wasn’t a season 3. or at least a movie to finish off the series! I thought it was believable. Everything the used possibly could very well could happen. The story line was great, the interaction was exciting, and I enjoyed watching. I would at least like it to finish! Just watched season two episode 6, and 40 minutes in one of the secret service agents says ‘red 5 standing by’. That is what Luke skywalker says just before the attack on the Death Star!!!!! Star Wars – episode 4. I agree. Every time my watching was interrupted, I was pissed off and couldn’t wait to get back to it! I was very disappointed that was all there was! I love this show why oh why would it be cancelled?? Really hope it’s picked up elsewhere! Please renew. It is a great show. Please renew. Best show on network tv. Please renew. Appeal of this show is not reflected fairly without counting its very robust streaming audience. It is impossible to watch all of the good shows in first release. Also many viewers prefer to stream whole seasons. Recognize this reslity and heed your viewers! Please renew Salvation! I recently discovered it and have binge watched it to the end of Season 2. I searched to see when it would be on again only to find out it might be cancelled! It seems that every show I love ends up being dropped! It seems like this is the consensus of all the shows I really like. I wonder who is the idiot that cancelling all the good stuff!